I had two realizations this week: Cats can fly! Just look at my boy cat Omar, lunkhead and adventure seeker extraordinaire. 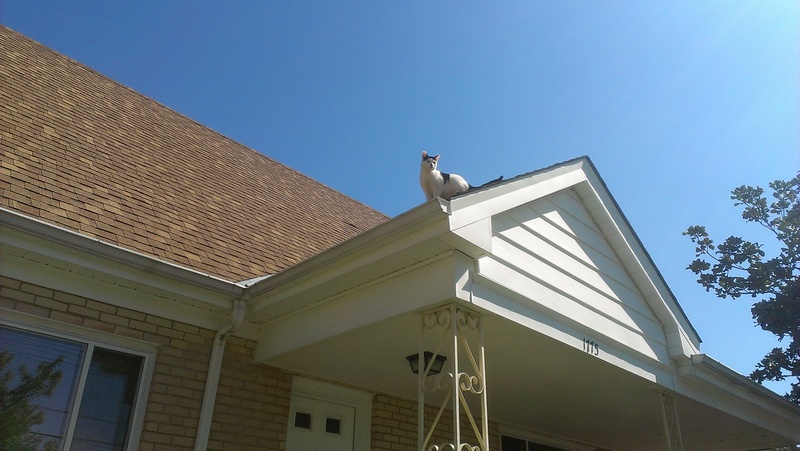 🙂 We’re still not quite sure how he got up on our neighbor’s roof! The second was more of a question. During dinner with my friend Christine, we talked about places to possibly go for missions trips, in the future. It seems we typically think of third world countries with no running water, an abundance of flies, foul odors and famine; upon hearing the words ‘missions trips’. In 2014, with the ever increasing problem of heroin addiction that decimates lives in Northern Kentucky and an area of Cincinnati known as Cheviot; a weird thought crossed my mind. I wondered if someday churches might start sending people to Cincinnati and my figurative backyard of Cheviot to spread hope and the love of Jesus? 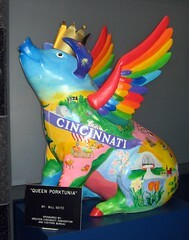 Cincinnati a missionary’s destination? It’s a bit sobering to realize there’s an area of such despair virtually within walking distance. Maybe I can begin my mission work without packing a bag or setting foot on a plane. Helping out in the soup kitchen at Vineyard Westside Church in Cheviot, my home church, might be a most worthy ‘mission trip’. I suppose I want to toss the thought out there that there’s probably SOMETHING each of us can do, to make our corner of the world a less suffering place. We don’t have to wait until that far off day in the future to help. The world and its many nooks and crannies needs our help NOW.